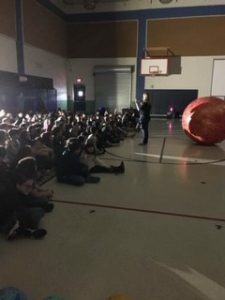 Orbit Earth Expo visits Forester Elementary! SAN ANTONIO, TEXAS – Thank you Forester Elementary for the warm welcome! Orb was excited to be part of STEAM day/night at your campus! 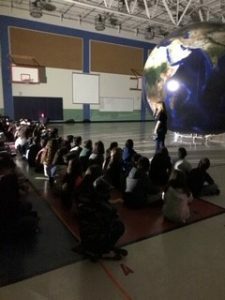 The kids were eager to participate in demonstrations and were blown away by the actual size of the Earth when compared to the Sun. The scale-sized marble really made everyone think! The students also had a fantastic understanding of rotation and revolution. Go Dragons! We were happy to see parents and their children having fun together at STEAM night, plus…Orb was happy to be a part of so many selfies! Thanks for a great day, Forester! We hope to see you next year!